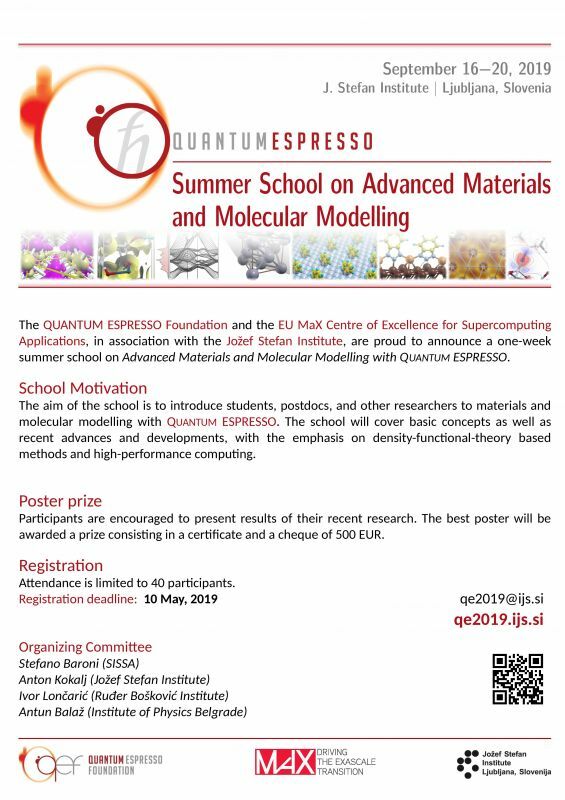 The school will follow a two-decade long tradition of QUANTUM ESPRESSO training courses that have been held all over the world, and is part of an ongoing effort of the MaX CoE to widen the scope of its action to European countries outside the consortium. Attendance is limited to 40 participants, who will be selected on the basis of their CV and optional recommendation letter(s). The registration fee is 50 EUR.